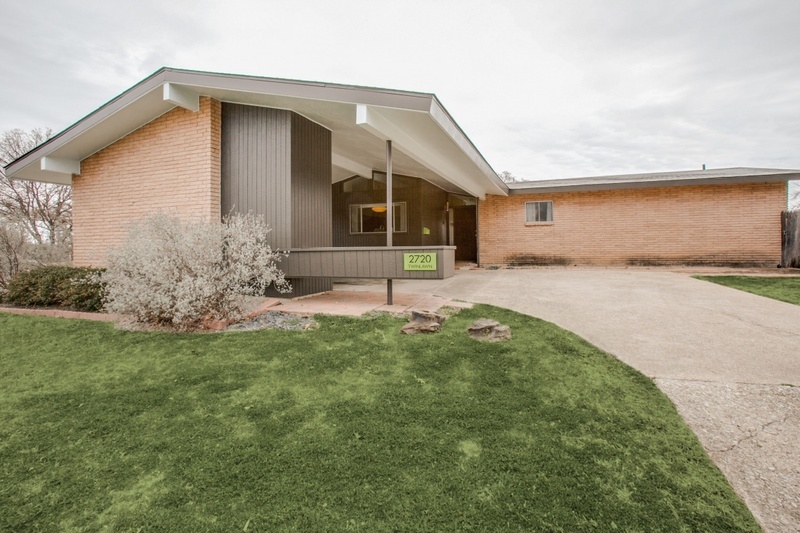 Outstanding Mid-century Modern home has only had two owners. Rare to find a nice original example in such well preserved condition. From the front door, you are greeted by open flowing spaces & views of the patio & lawn through walls of floor to ceilings windows. Stunning terrazzo flrs are to be found throughout the house expect for bedrooms. Living rm features vaulted ceilings, exposed beams & cozy brick fireplace with mosaic tile hearth.